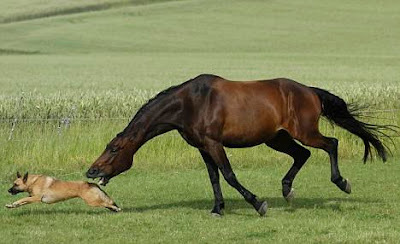 Horses usually bolt at the first sign of a canine menace. 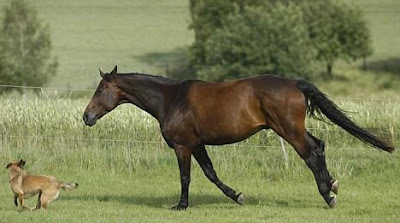 But this plucky filly decides to turn the tables on its pursuer. 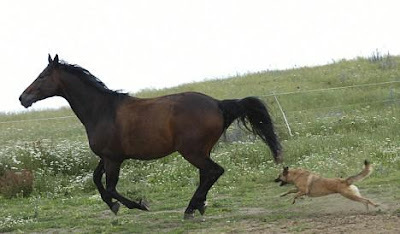 When a Belgian Shepherd chases the 12-year-old half-breed, it fights back and tries to bite the playful dog's tail. 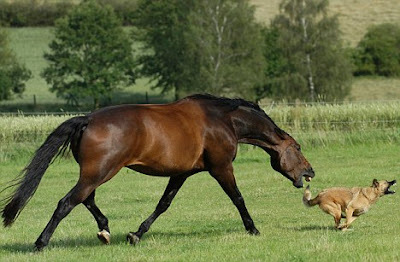 German photographer Lothar Lenz captured the unlikely game of chase on a stable-farm in Buchkoebel, just outside Frankfurt.